Welcome to our financing department here at Ken Garff Jaguar! We know you have been dreaming about this car for months and years, and we want to help you make that dream a reality! Our goal is not only to sell cars but to give you an experience that will make you a lifetime customer. Part of this is making sure you get a price that works with your budget. So what are you waiting for? Fill out our finance application now to get started, and soon you’ll be driving off into the sunset in the Jaguar you’ve been dreaming of! Our finance team is highly qualified and ready to help you get you into your dream car. We can provide lease, and loan alternatives as well. We will help you get competitive rates for the financing and leasing programs that you need. 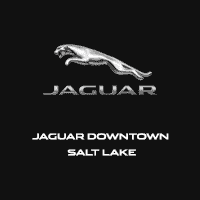 We also guarantee you will have a positive experience here at Ken Garff Jaguar.